Second Half ended - Romania 4, Faroe Islands 1. Thats all. Game finished - Romania 4, Faroe Islands 1. Offside - Faroe Islands. Solvi Vatnhamar with a pass, however Klaemint Olsen is in offside. René Joensen - Faroe Islands - won a free kick in defence. 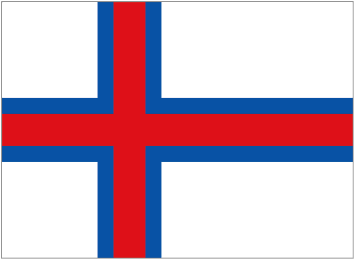 Klaemint Olsen - Faroe Islands - receive yellow card for a foul. Razvan Marin - Romania - won a free kick in defence. Dragos Grigore - Romania - receive yellow card for a foul. Klaemint Olsen - Faroe Islands - won a free kick in defence. Árni Frederiksberg - Faroe Islands - receive yellow card for a foul. Alexandru Cicaldau - Romania - won a free kick in defence. Substitution - Romania. Dennis Man for Nicolae Stanciu. Missed chance. Nicolae Stanciu - Romania - shot with right foot from outside the box missed. Assist - Ciprian Deac with a cross after corner. Substitution - Faroe Islands. Solvi Vatnhamar for Hallur Hansson. Corner - Romania. Conceded by Viljormur Davidsen. New attacking attempt. Razvan Marin - Romania - shot with right foot from outside the box is saved in the right corner. Assist - George Puscas. Nicolae Stanciu - Romania - won a free kick in attack. Delay in match Hallur Hansson - Faroe Islands - - injury. New attacking attempt. Klaemint Olsen - Faroe Islands - shot with the head from the centre of the box is saved in the top centre of the goal. Assist - René Joensen with a cross. Corner - Faroe Islands. Conceded by Alexandru Chipciu. Substitution - Romania. Alexandru Cicaldau for Claudiu Keseru. Substitution - Faroe Islands. Árni Frederiksberg for Kaj Leo i Bartalsstovu. Hallur Hansson - Faroe Islands - won a free kick in defence. Missed chance. Claudiu Keseru - Romania - shot with right foot from outside the box goes high. Assist - George Puscas. Goal! Romania 4, Faroe Islands 1. George Puscas - Romania - shot with right foot from outside the box to the top right corner. Assist - Alexandru Chipciu. New attacking attempt. George Puscas - Romania - shot with left foot from few metres is saved by goalkeeper in the centre of the goal. New attacking attempt. Ianis Hagi - Romania - shot with left foot from the centre of the box is saved in the right corner. Assist - Alexandru Chipciu with a cross. Shot blocked. Nicolae Stanciu - Romania - shot with right foot from the right side of the box is blocked. Assist - Ciprian Deac. Ciprian Deac - Romania - won a free kick in defence. Brandur Hendriksson Olsen - Faroe Islands - won a free kick in defence. Missed chance. Rógvi Baldvinsson - Faroe Islands - shot with right foot from outside the box missed. Assist - René Joensen. New attacking attempt. Hallur Hansson - Faroe Islands - shot with left foot from the centre of the box is saved in the top centre of the goal. Assist - Gilli Ròlantsson. Shot blocked. George Puscas - Romania - shot with right foot from the centre of the box is blocked. Assist - Claudiu Keseru. Missed chance. Ianis Hagi - Romania - shot with left foot inside of six yard box - left side missed to the left. Assist - George Puscas with a cross. Corner - Romania. Conceded by Rógvi Baldvinsson. Missed chance. Nicusor Bancu - Romania - shot with left foot from the left side of the box missed. New attacking attempt. Nicolae Stanciu - Romania - shot with right foot from outside the box is saved in the right corner. Missed chance. Brandur Hendriksson Olsen - Faroe Islands - shot with left foot from outside the box is high and wide to the left . Alexandru Chipciu - Romania - receive yellow card for a foul. Hallur Hansson - Faroe Islands - won a free kick on the left wing. Substitution - Romania. Ianis Hagi for Romario Benzar. Second Half starts Romania 3, Faroe Islands 1. First Half ended - Romania 3, Faroe Islands 1. Kaj Leo i Bartalsstovu - Faroe Islands - won a free kick in defence. Offside - Romania. Nicolae Stanciu with a pass, however George Puscas is in offside. Nicolae Stanciu - Romania - won a free kick in defence. Missed chance. Claudiu Keseru - Romania - shot with left foot from the left side of the box missed. Assist - Nicusor Bancu. Ciprian Deac - Romania - won a free kick in attack. Goal! Romania 3, Faroe Islands 1. Viljormur Davidsen - Faroe Islands - converts the penalty with a shot with left foot to the right corner. Cosmin Moti - Romania - receive yellow card for a foul. Penalty conceded by Cosmin Moti - Romania - after a foul in the penalty area. Penalty Faroe Islands. Klaemint Olsen draws a foul in the penalty area. New attacking attempt. Odmar Faero - Faroe Islands - shot with right foot from the right side of the box is saved by goalkeeper in the centre of the goal. Assist - Atli Gregersen. Corner - Faroe Islands. Conceded by Cosmin Moti. René Joensen - Faroe Islands - won a free kick in attack. Missed chance. Klaemint Olsen - Faroe Islands - shot with the head from the centre of the box goes high. Assist - Hallur Hansson with a cross. Goal! Romania 3, Faroe Islands 0. Claudiu Keseru - Romania - shot with left foot from few metres to the centre of the goal. Assist - Dragos Grigore with a head. Nicolae Stanciu - Romania - won a free kick on the right wing. Hallur Hansson - Faroe Islands - won a free kick in attack. Goal! Romania 2, Faroe Islands 0. Claudiu Keseru - Romania - shot with right foot from the centre of the box to the right corner after corner. Shot blocked. George Puscas - Romania - shot with right foot from the right side of the box is blocked. Assist - Razvan Marin. Missed chance. Razvan Marin - Romania - shot with right foot from outside the box missed after corner. Substitution - Faroe Islands. Rógvi Baldvinsson for Heini Vatnsdal - injury. Goal! Romania 1, Faroe Islands 0. Ciprian Deac - Romania - shot with right foot from the centre of the box to the left corner. Assist - Claudiu Keseru. Ciprian Deac - Romania - won a free kick on the right wing. Delay in match Heini Vatnsdal - Faroe Islands - - injury. Corner - Romania. Conceded by Kaj Leo i Bartalsstovu. Nicolae Stanciu - Romania - receive yellow card for a foul. Heini Vatnsdal - Faroe Islands - won a free kick in defence. René Joensen - Faroe Islands - receive yellow card for a foul. Corner - Faroe Islands. Conceded by Romario Benzar. Missed chance. Klaemint Olsen - Faroe Islands - shot with the head from the centre of the box missed. Assist - Kaj Leo i Bartalsstovu with a cross. Delay in match Brandur Hendriksson Olsen - Faroe Islands - - injury. Shot blocked. George Puscas - Romania - shot with the head from the centre of the box is blocked. Assist - Romario Benzar with a cross. Get real-time football commentaries and full coverage for the Euro Qualification match Romania vs. Faroe Islands, powered by Scorenga.co.uk. This page is dedicated to one of the most exciting Euro Qualification clashes. Here you will find a summary of the game, standings and photos.